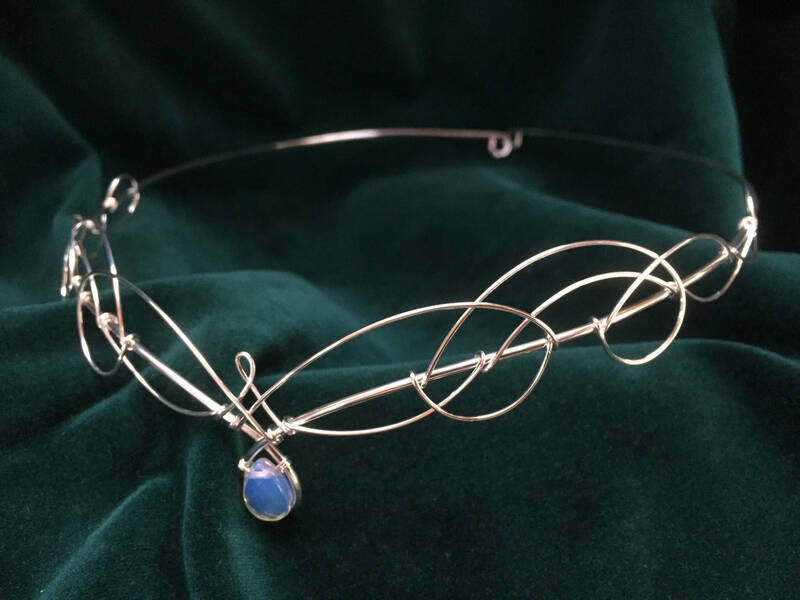 The circlet is silver plated with a faceted pear drop moonstone centre stone. 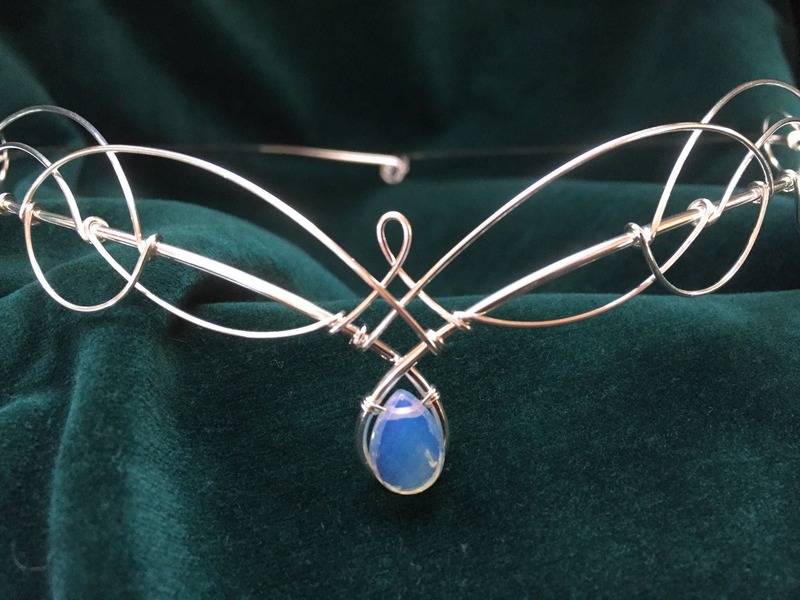 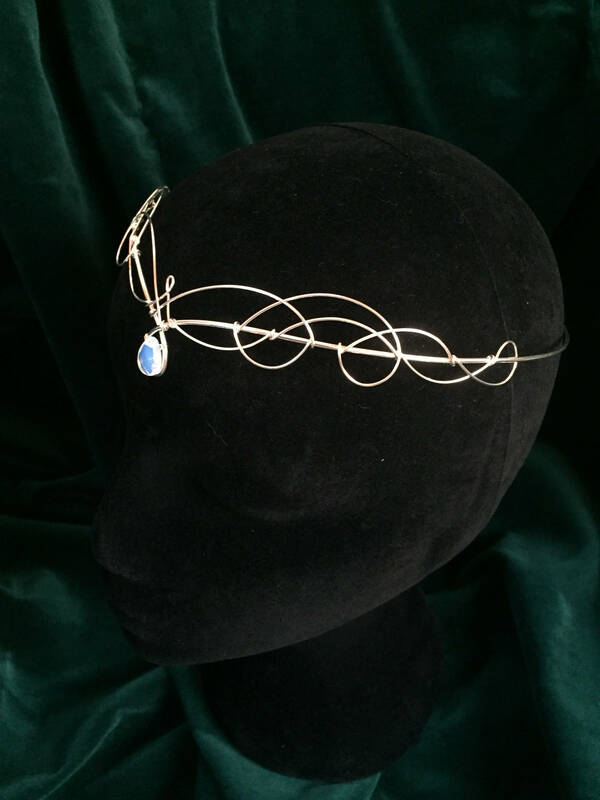 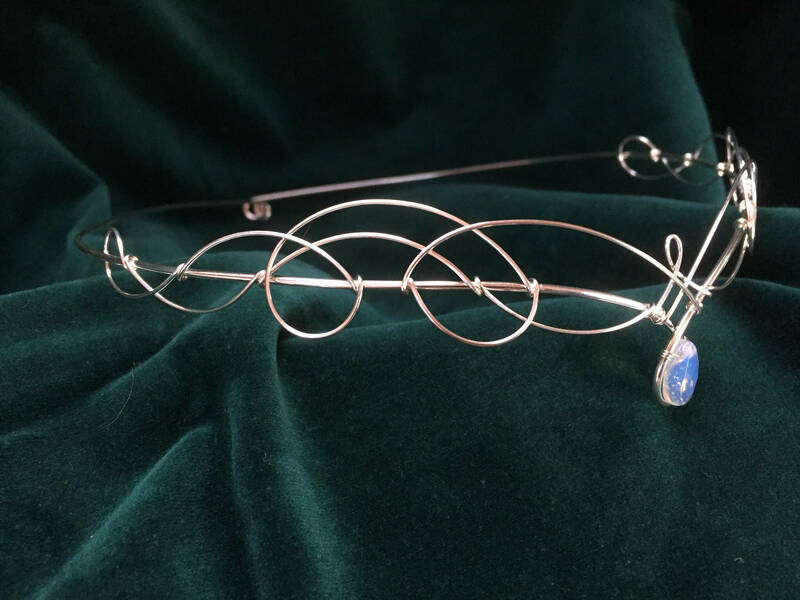 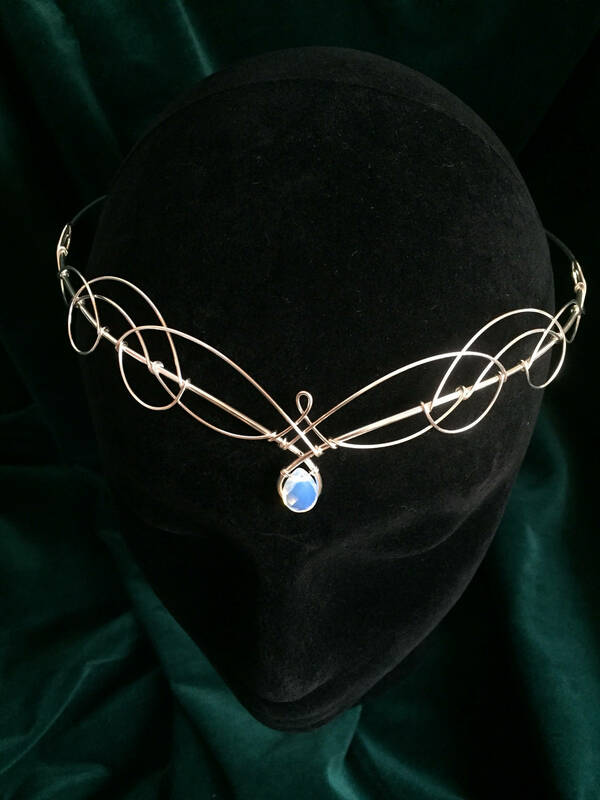 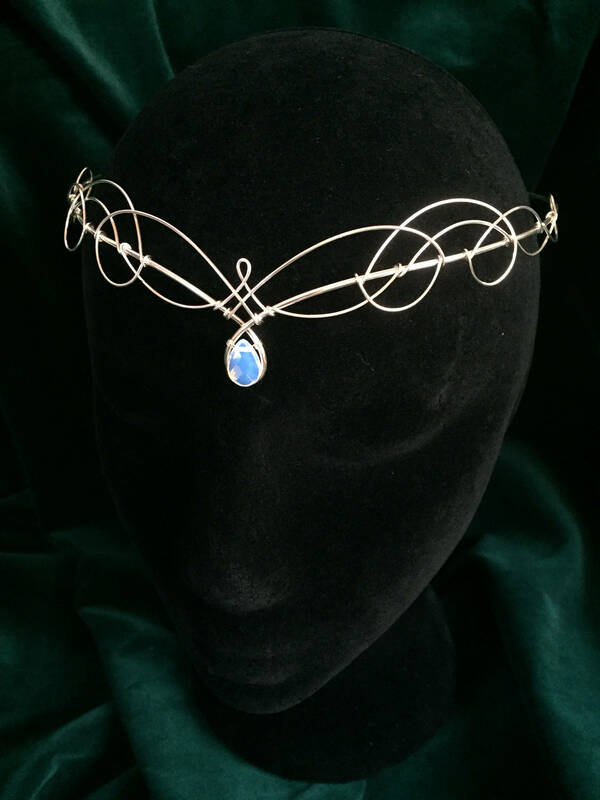 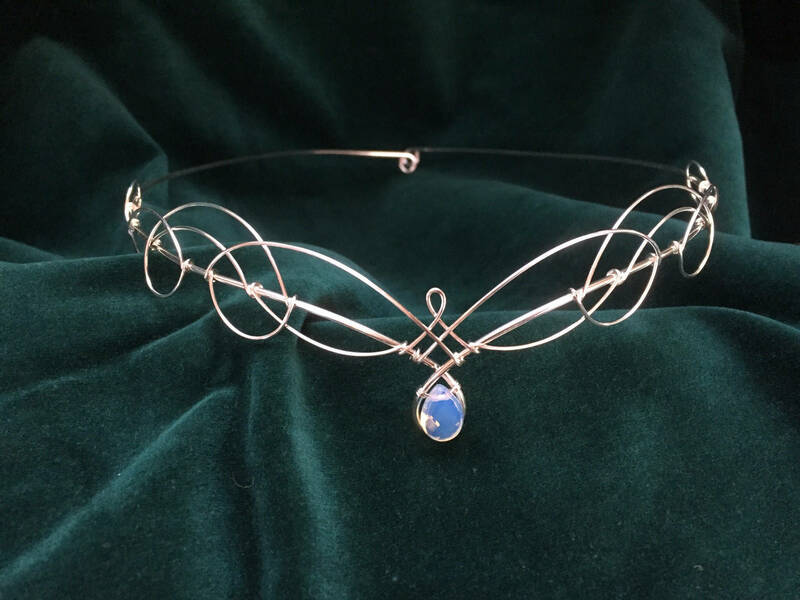 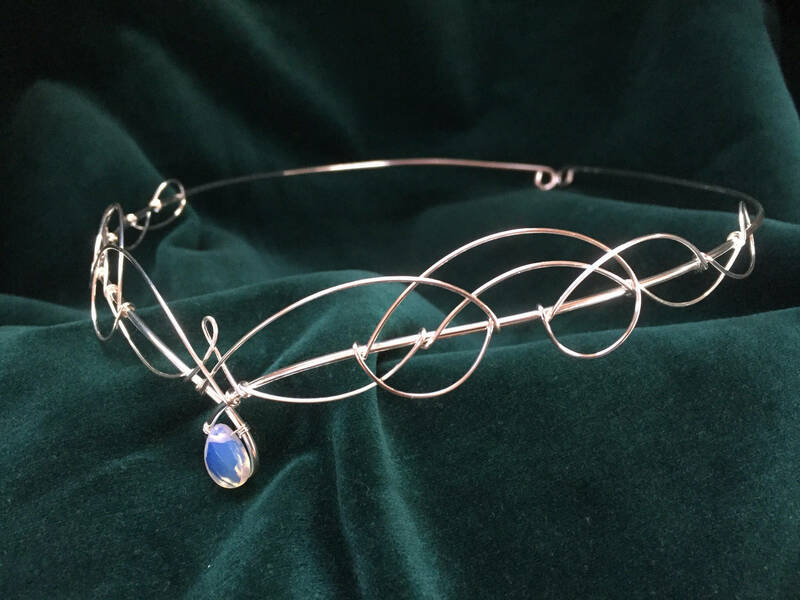 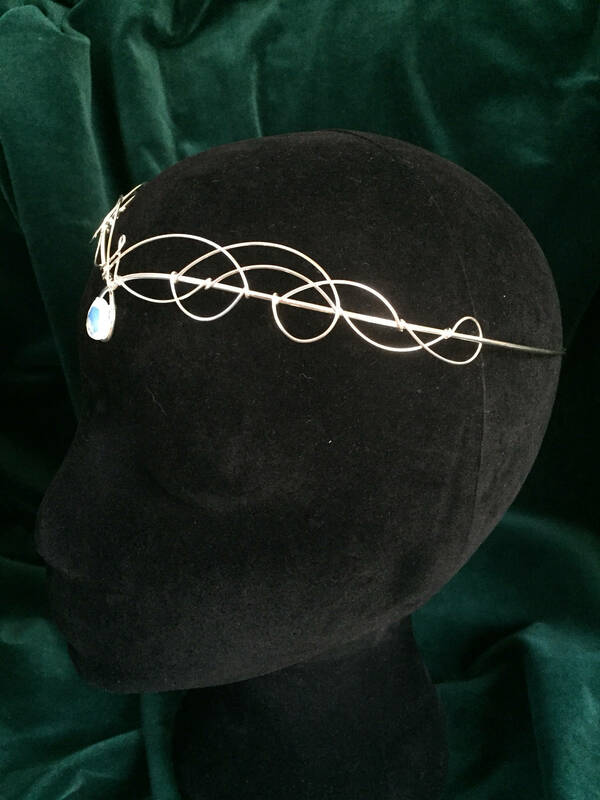 The design element of the circlet measures approx 21.5cms (8 and a half inches) across and measures 3cms (1 and a quarter inch) from top to bottom at the centre. 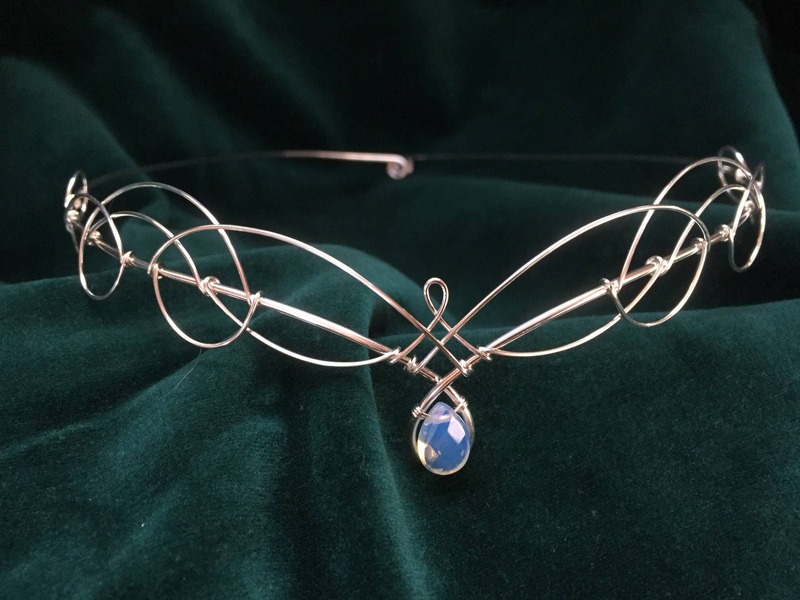 The moonstone measures 12mm (half an inch) from top to bottom.